Nicer Than New!! This home shows like a ''Model'' and loaded with extras and upgrades! 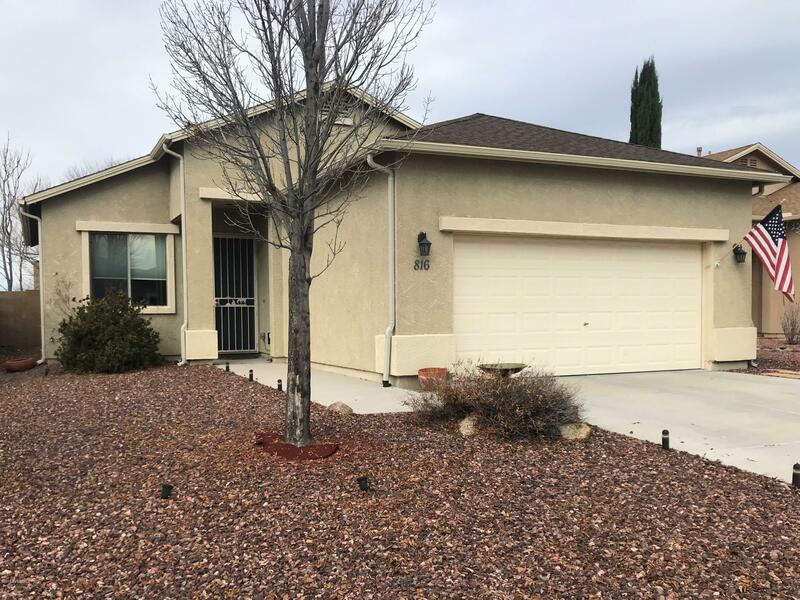 Such as.....refrigerator, washer & dryer included, newer countertops in the kitchen, upgraded ceiling fans, natural gas fireplace, two full bathrooms with whirlpool tub in master bathroom, Reverse Osmosis water filter, 10 ft ceilings through-out with 8 ft front entry door. The thermostat and Garage Door are set up for wi fi on your phone. Natural gas furnace, water heater and range. Insulated garage door, many built-in shelves and cabinets in the garage. Newer A/C unit (approx. 3yrs). Outside there's landscaped lighting, full sprinkler system front & back. Did I mention that it shows like a ''Model''. Don't miss out!